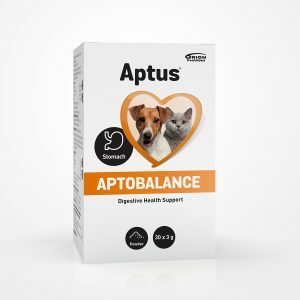 Developed for ill and convalescent cats with a poor appetite. Easily administered high-energy nutritional paste. Contains enough energy to compensate for entire meals, also contains necessary amino acids and vitamins. Recommended to recovering pets. Give to your ill or recovering cat with a poor appetite. The paste can be given directly by mouth or mixed with a small amount of food. 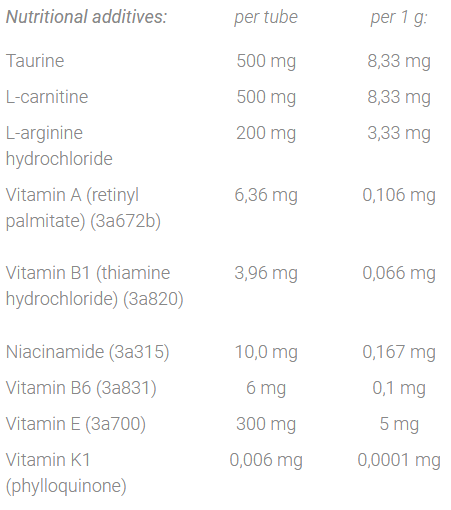 Daily dosage can be divided into several smaller doses. Use the opened tube within 4 days of opening. Ask your veterinarians advice if you need to use Recovery Booster for more than 1 week. – cats with liver- or kidney problems. 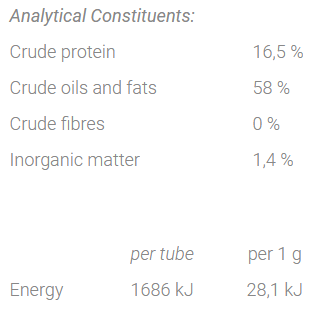 Animal fat (poultry), milk powder (goat), dextrose (D-glucose), hydrolysed collagen (porcine), glyceryl monostearate. 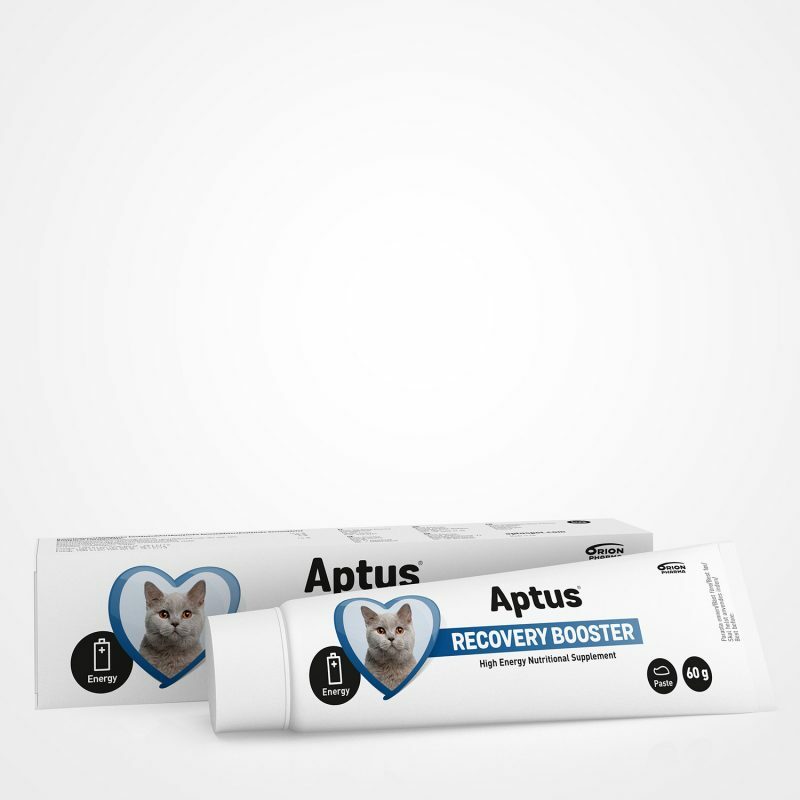 Aptus Recovery Booster is recommended for cats with poor appetite due to surgery, injury, or illness. It can be used to compensate for entire meals or to provide extra nutrition when your cat is eating poorly. Recovery Booster provides enough additional calories to compensate for daily feed when needed. Recovery Booster may not cover the entire amino acid requirements of cats on a special diet. Contact your veterinarian if your cat’s condition doesn’t improve.